The all-new Nissan Navara is the 12th generation of its hard-working utility truck, embodying Nissan’s legacy of excellence and trust in this highly demanding segment, and now with new levels of comfort, convenience and advanced technologies. Backed by Nissan’s 80 years of global pick-up truck know-how and legendary reliability, the Navara meets the needs of demanding individuals and business owners alike. The Nissan Navara is represented by a range of body types and powertrain options according to individual market demands, through narrow- and wide-body type, king and double cab models, as well as all-wheel drive and two-wheel drive types. 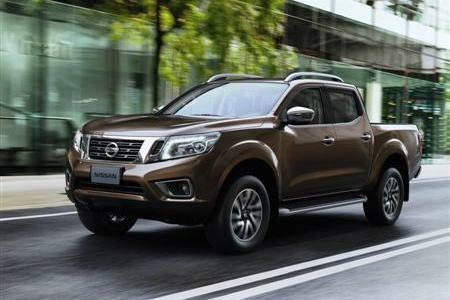 The Nissan design team focussed on delivering a sportier and more emotional expression on the Navara, while maintaining Nissan’s distinctive design 'DNA'. The view from the side is marked by the smooth silhouette thanks to the high beltline and blacked-out B-pillar, which lends the Navara a unique character. The door section with dynamic convex and concave surface boldly expresses its energetic and dependable appearance along with the massively sculpted mudguards. 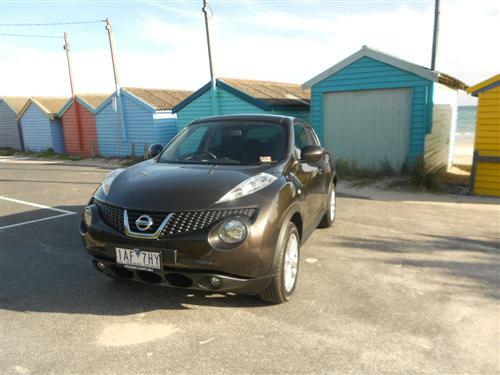 Nissan’s signature ‘V-motion’ motif flows from the grille and into the bonnet through to the front guard, giving a smooth and dynamic character line. The visual appeal of the Navara is also enhanced thanks to the boomerang shaped lighting signature with LED daytime running lights that gives a prominent and distinctive impression. Additional visual spice comes from chrome 'waist line' mouldings and turn indicators mounted in the door mirrors. Life on board has also been upgraded. Here the designers have styled the dashboard featuring a gentle sweep from the centre panel to the door side with three-dimensional rich sections in order to offer a feeling of spaciousness. In addition, the Nissan designers have styled the interior to represent a new quality benchmark in the segment, with finely designed meters and a tactile steering wheel, as well as the use of an aluminium-like finish on the centre cluster and console as well as stitching on the seat. Occupants will feel the clear influence of Nissan’s SUV leadership, through the intuitive ergonomic design and use of quality materials, and thanks to easier ingress and egress as well as improved refinement and visibility. Overall, the interior is spacious and comfortable, offering convenience for hard-working entrepreneurs and the quiet relaxation of a well isolated space for family journeys. The material selection and elaborate treatment such as double stitching fully express its quality and sophistication. “Since we built our first pick-up in 1933, over 14 million customers around the globe have come to depend on a Nissan pick-up to transport their families, work-mates and cargo, sometimes in the toughest of circumstances,” said Andy Palmer, Nissan’s Chief Planning Officer. The dashboard sports multiple easy-to-read dials, plus a large centre console with a full array of intuitive features that combine with steering wheel controls to enable easy and safe use while driving. While life on-board is comfortable and convenient, the Navara has been designed and developed to easily and confidently handle heavy loads, while allowing ease of loading and unloading. Underneath, the Navara’s high-strength chassis and suspension have been engineered to take the punishment of intense daily usage, reflecting the expectations of pick-up customers around the world. Among the other improvements to the Navara’s characteristics are a reduced turning circle, reflecting the importance of agility and manoeuvrability in city driving. Shift-on-the-fly 4x4 driving can be engaged while the vehicle is in motion. The VDC (Vehicle Dynamic Control) system helps improve 4x4 driving performance and safety, along with ABLS (Active Brake Limited Slip), HSA (Hill Start Assist) and HDC (Hill Descent Control). Overall, the new Nissan Navara provides fleet and individual owners improved productivity in the field and comfort on the road. This is thanks to the high quality engineering that has delivered a tough and durable frame along with high performance powertrains, and a striking design inside and out for a satisfying ownership experience. “We are confident that the all-new Nissan NP300 Navara will go straight to the top of pick-up buyers’ shopping lists in all of the markets where we will sell it. Its combination of striking looks, efficient performance, robustness and durability will allow owners to work and play harder – enriching their daily lives. 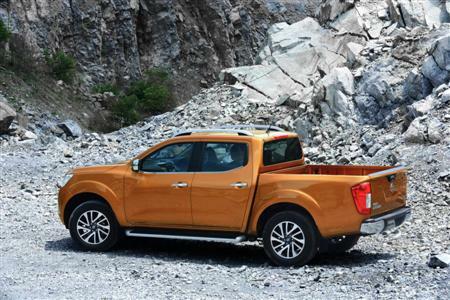 The NP300 Navara continues the legacy of Nissan’s long pick-up history and, like all Nissan models, it will deliver excitement through innovation,” said Palmer. Stay tuned to Next Car for further particulars, in due course, regarding local specifications and pricing for the new Nissan Navara.